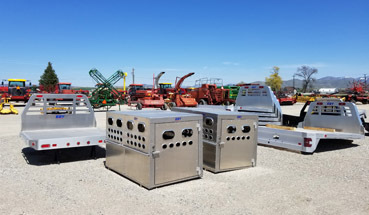 EBY aluminum livestock trailers, truck bodies and flatbed trailers are engineered to perform and built to last. They’re designed with superior structural integrity and fabricated for remarkable durability, resulting in easier operation for handlers and greater comfort for valuable cargo. Buy your new Eby Trailer in Logan or Tremonton Utah or Preston Idaho. See our current inventory online! Valley Implement now offers Eby gooseneck and bumper pull Livestock Trailers. 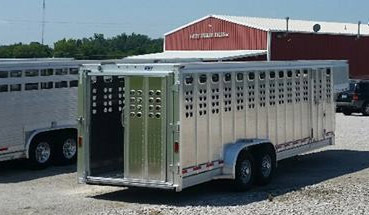 Eby aluminum livestock trailers are your best choice for hauling your cattle, horses and other livestock. Learn more. 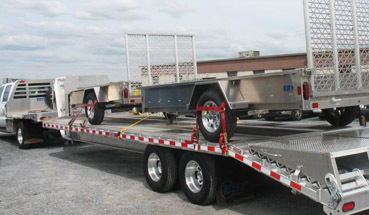 Eby’s aluminum gooseneck & bumper pull flatbed trailers are much lighter than comparable steel trailers. Superior hauling for farmers, landscapers, property managers, contractors and others. Learn more. Eby truck bodies are lightweight and built to last. They are available in standard lengths from 7′ to 11′. There are options available to fit your needs such as their under body tool box and removable 6″ Side Kit. Learn more.